In 1988, Amy landed an after-school job at a family-owned florist in the small town where she grew up. It was the start of a lifelong interest and, for nearly eight years now, her livelihood. After attaining a degree in retail merchandising, she entered the corporate world gaining valuable experience in product design, display, vendor relations, and marketing. During her corporate years she began honing a vision to create a new-fashioned flower shop experience. With a belief that giving flowers feels as good as receiving flowers, she decided to follow her dream and open Spruce in 2010. 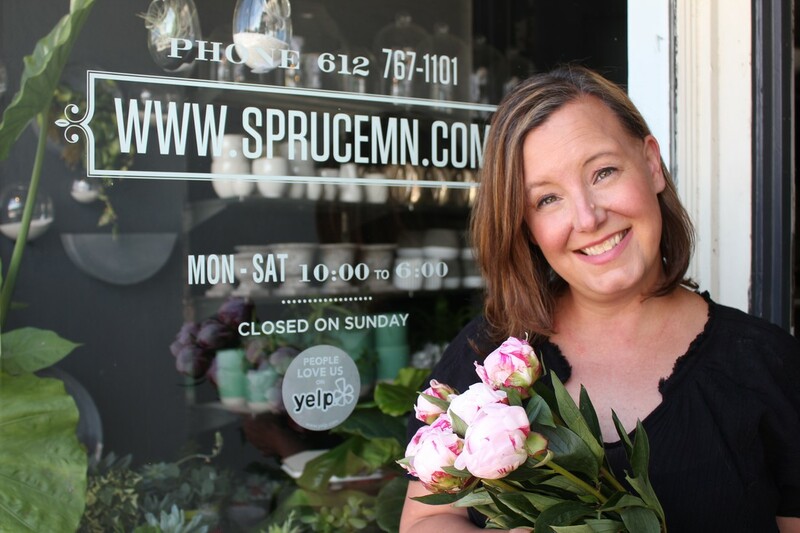 Inspired by good design that ranges from classic, to modern to organic, she leads a team of talented florists and designers to deliver artistically crafted flower arrangements in the Twin Cities. Join us for a very special start to the holiday season and the close of the 2018 Corvus North Women's Entrepreneur Series. Amy is designing an experience for you to "make and take" home a beautiful display, just before the flurry of the holidays. Explore the creative, industrial-chic Studio 125 in the NE Minneapolis Fisk Building, where Amy will give us the scoop on how she's built her business. Oh, and cocktails, good food, and great networking with other women entrepreneurs (and the people who support them!) will make a great evening. Join us for this special happy hour "make and take" event! Your ticket includes Amy's talk, a "make and take" floral arrangement, happy hour drinks and appetizers, and social time with other women entrepreneurs. Amy Backman, founder of Spruce Flowers and Home, creates a special "make and take" floral arrangement event for you over cocktails, appetizers, and great networking. Join us to hear about her experience building a "new-fashioned" floral shop while exploring the cool vibe of Studio 125 in the creative Fisk Building in Northeast Minneapolis.